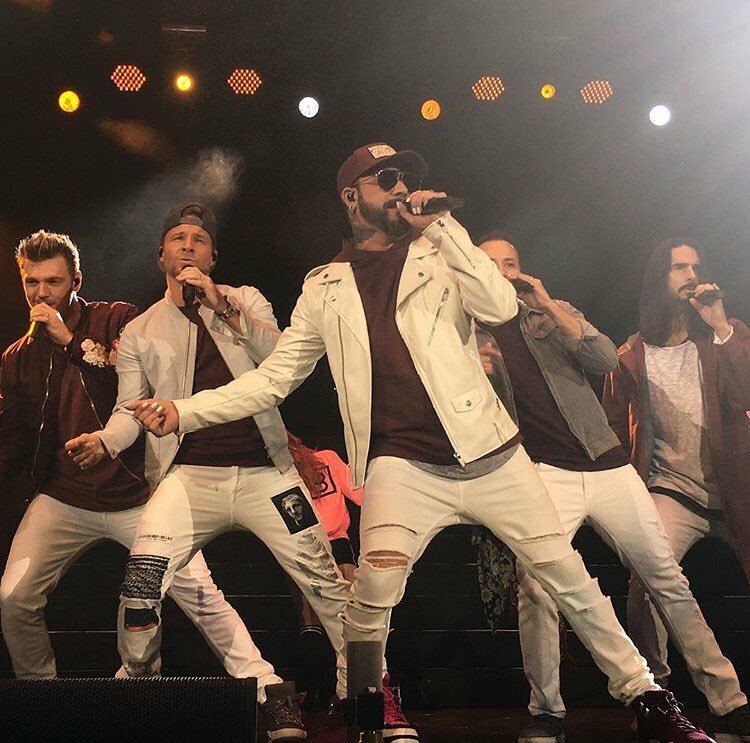 With the exception of a few dates this past Summer, the Backstreet Boys have spent most of 2017 in the West. For the holiday season though, they’re giving fans on the East side of the U.S. exactly what they’ve asked Santa for with a string of Christmas radio shows scattered throughout a few different states. The shows kicked off this week with the Boys playing alongside new boyband Why Don’t We in Charlotte, NC for KISS 95.1’s Kissmas celebration. The sold out show at Bojangles Coliseum marked the Backstreet Boys’ first return to the stage since their last show in Las Vegas in November. You can check out photos from the show and the radio’s meet and greet winners here (and an exclusive interview below). Last night, Kevin, Howie, AJ, Brian, and Nick made their return to Chicago for B96’s JingleBash for one killer show that included powerhouse Taylor Swift and the very popular Fifth Harmony. Not only were thousands of concert goers excited to see them, but as it turns out, Ms. Swift is also a fan, leaving this note in the BSB dressing room before the show. During their performance, it was Fifth Harmony’s Ally Brooke who was fangirling over the five, excitedly posting multiple videos to her Instagram story. Getting FOMO yet? Don’t worry – there are four other chances to catch the Backstreet Boys before Christmas in Toronto, Indianapolis, New York City, or Connecticut! Get the details here. Canada, set your DVRs - Jingle Ball North will be airing on CTV on December 17th. If you can’t catch them at any of those places, they will also be in Cancun to celebrate the New Year and are already busy planning for big things in 2018 to accompany their milestone 25th anniversary! Make sure to watch the latest interviews with KISS and B96 below for all of the latest details. Speaking of holidays, have you stopped by the fanclub shop? All BSB merch at backstreetboys.com/store is 25% off through 12/25. Find a few gifts for others or for yourself – we’re not judging.